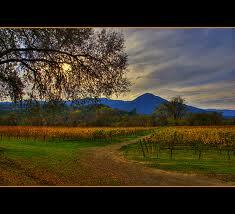 You are here: Home / Domains, Producers & Appellations / Sonoma Shines! I recently attended Sonoma in the City, the largest gathering of Sonoma wineries ever assembled under one roof (outside of Sonoma itself). With 100+ domains representing all 13 of the county’s AVAs (American Viticultural Areas) the range of styles, blends and winemaking philosophies was vast – not that this was unexpected but when you fill the ornate, Grand ballroom of San Francisco’s regal St. Francis hotel with such a display of California’s fine-wine muscle one cannot help but be impressed! Before hitting the main tasting event however, I attended a Zinfandel trade seminar led by the genial master sommelier, Peter Granoff. The session began with a brief history lesson, one of the most interesting components of which covered the grape’s true genetic origins (long thought to be tied to Primitivo – the plump, juicy and extremely friendly red varietal of Italy’s Puglia region). Recent DNA testing from the University of California, Davis has shown definitively that the grape is in fact a cousin of the Croatian variety known as Crljenak Kaštelanski. The tasting and seminar covered eight Sonoma producers with one wine from each house. The styles ranged from subtly oak-influenced, purely fruit-driven offerings like the lush, 50+ year vines 2009 Seghesio Family Vineyard Old-Vine Zinfandel from Sonoma county to the somewhat more oak-enhanced and textural 2008 Acorn Winery Heritage Vines, Alegria Vineyards Russian River Valley Zinfandel. 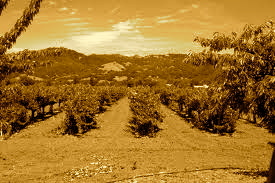 The wines had varying degrees of density but all showed a familiar, high-alcohol profile ranging from 14% to almost 16% – typical of Sonoma county Zinfandel. All of the wines in this line-up were well-made and generally satisfying yet of the eight, four stood above the rest. The 2008 Sausal Winery Private Reserve Zinfandel with its engaging nose of blackberries and licorice whip from 90+ year-old, dry-farmed (no irrigation = more concentration) vines was packed with fruit and had lovely texture coupled with bright and cleansing acidity that made for a truly harmonious wine. The aforementioned Acorn Winery Heritage Vines, Alegria Vineyards Russian River Valley Zinfandel exhibited seductive aromatics of bay leaves and eucalyptus, lush, black cherries, sweet tobacco and cola. It translated beautifully on the palate adding layers of dark plums and boysenberries. The wine was well-balanced and had a full and persistent finish. The 2008 Ravenswood Winery Sonoma Valley Old Hill Vineyard Zinfandel showed soft pepper, subtle hints of cranberry, wild fennel and notes of freshly ground coffee on the nose. The wine was medium-bodied and had a wonderful mouth feel with more fruit layers of black cherry rounding out the palate. The refreshing acidity makes this a wonderful food wine. Finally, the 2008 Dashe Cellars Todd Brothers Ranch Alexander Valley Zinfandel showed penetrating notes of cherries and black tea along with a richly textured palate brimming with both black and boysenberries. It was elegant with lovely balance and a wonderful, intensely focused and persistent finish that made it one of my favorites! This seminar and the main tasting event with its abundance of beautifully sourced, complex and masterfully crafted cuvees underscored the depth and indisputable quality of the wines emanating from Sonoma’s vast viticultural districts at the hands of its many world-class, artisan winemakers. « The End of the World!